At EyeCare & Vision Therapy Ctr., each member of our vision care team is selected by Dr. Joseph Pederzolli based upon his or her experience, professional demeanor, and dedication to providing personalized care to our optometry patients. Our entire optometry staff is committed to ensuring the comfort and satisfaction of each and every patient. We will do our best to accommodate your busy schedule by finding appointment times that meet your needs. Our knowledgeable staff at EyeCare & Vision Therapy Ctr. will work with you to help you understand your vision insurance coverage and provide financial alternatives to ensure you get the best vision care possible. We know that you have a choice when it comes to optometry services, so we strive to provide comprehensive eye exams, a great selection of glasses, and personalized care. We will contact your insurance company to see if they will pay for the therapy. It's important to keep in mind, insurances always make disclaimers that just because benefits are given out, that is no guarantee of payment. Also, your insurance policy for company X may pay for vision therapy, but another policy for company X does not. We will do our best to get accurate information from your insurance company. If you are responsible for the payment of vision therapy, we accept cash, check, credit card, and Care Credit. If payment of the therapy is paid in full (excluding Care Credit), a 20% discount is given on the therapy. If payment is made in 2 payments (excluding Care Credit), a 10% discount is given. These discount payments also include free evaluations which are done after every 8 visits. Any other payments (weekly, monthly, etc...) are acceptable, but therapy must be paid in full before completion. You are responsible for the reevaluations with these non-discounted plans and Care Credit. There are some Community organizations that may help with therapy costs. Dr. Pederzolli is currently applying to be a provider for the John Peterson Scholarship through the Ohio Department of Education(ODE). 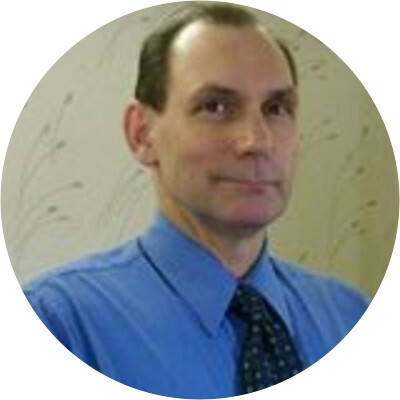 Dr. Joseph Pederzolli has always had a passion for rehabilitative and developmental vision care since early in his education while in optometry school. He received a Bachelor of Science in Visual Science (BSVS) and later his Doctor of Optometry Degree (OD) from the Illinois College of Optometry in 1979. He became a Fellow of the College of Optometrists in Vision Development (FCOVD) in 1991 indicating board certification in Vision Therapy and Vision Development. In 1992 he had passed the competency-based examination in Treatment and Management of Ocular Disease (TMOD). This may be the first voice you may here on the phone when you call about specific questions regarding vision therapy. Michele can assist you with insurance claims and billings. She has gained a wealth of experience regarding third party billing during the past two decades. 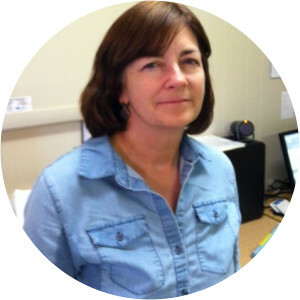 Linda can do the scheduling of the standing appointments for Vision Therapy visits. She can answer more in-depth questions regarding Vision Therapy related issues (or she will consult with the doctor for an answer). Linda, as Therapy Assistant, may be in the therapy area with doctor and patient(s). This helps the doctor start on time and finish on time for all therapy visits. 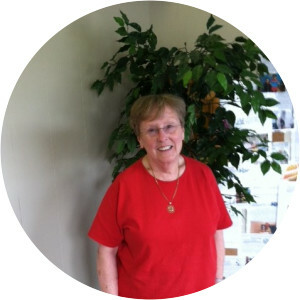 Linda has worked in Dr. Pederzolli's office off and on for over the past 20 years.